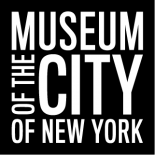 The digitization of the Museum of the City of New York’s silver collection has progressed steadily since our last blog post highlighting presentation pieces in the collection. There are now over 200 objects available to view on the Museum’s collections portal. Each object must be cleaned and then professionally photographed in our state-of-the-art digital lab before the images are uploaded to the Web. Through the combined efforts of Gary McGowan and his team at Cultural Preservation and Restoration, and my own two hands, the cleaning and conservation of the silver collection is nearing an end. Currently, almost 1,800 of the approximately 2,600 objects in the silver collection have been cleaned and over 50% of the collection photographed. Most silver objects intended for everyday use are made of sterling silver or silver plate because pure silver is too soft unless alloyed with another metal. Sterling silver is 92.5% silver and 7.5% copper. Silver plate is made from a base metal, usually copper, with a thin layer of silver applied on top. These objects are generally durable, aside from surface scratches from use, but tarnish caused by exposure to sulfur-containing compounds in the atmosphere is one problem associated with the care of silver material. In order to regain a semblance of the original reflective quality of the silver, removal of the tarnish through polishing must occur. This process can be accomplished through three different methods: mechanically, using abrasive polishes; electrochemically; or chemically with a dip. The mechanical process is generally the most common; however, a small amount of silver is removed from the surface with each cleaning and repetitive cleaning will wear down engravings and inscriptions over time. One of the first steps in the cleaning and conservation of the City Museum’s silver collection was the bagging of all material in four millimeter polyethylene bags sealed with twist ties. Bagging the silver reduces exposure to contaminants in the air that could lead to further tarnish and reduces the number of times the silver must be cleaned. Risk of future tarnish is also reduced by storing the silver in a climate controlled area. Once all of the silver was bagged, the cleaning process began. As mentioned above, abrasives are generally used in the mechanical cleaning process. Several studies have been completed to find the least abrasive but most effective method. One of these recommended methods, which we employ at the City Museum, is the use of a calcium carbonate slurry. Tankards and Trays bagged in polyethelene bags. A calcium carbonate slurry removes tarnish with minimal damage to the surface of the object. This slurry is made with 15ml. of distilled water, 2 to 3 drops of SURFONIC® JL-80X surfactant, and 5 g. of calcium carbonate. The slurry is applied to cotton cloths that are used to wipe the surface of the object and then the object is washed with distilled water. A white powder is commonly visible after drying so the object must be wiped again with a clean cotton cloth. This white powder can often get into the crevices of inscriptions or engravings on the silver and must be removed using toothpicks or cotton swabs. After all of the powder has been removed, the surface is wiped once more using a polishing cloth and the object is re-bagged and stored. Once the cleaning of the silver is complete, the object can then be photographed in the Museum’s digital lab. Because of the reflective nature of silver, objects are placed inside a tent-like structure made of diffusion panels. The object is then adjusted a few times on the set to determine the desired height and angle. Another panel is then placed at the front of the set in order to eliminate reflections from the room, including images of the camera and the photographer reflected on the surface of the silver. The photographs are then processed and made ready for upload to our collections portal. This important work is taking place thanks to generous grants from the Institute of Museum and Library Services, Louis & Virginia Clemente Foundation, and Henry Luce Foundation. These grants allow the Museum to conserve, digitize, and update the cataloging for the entirety of the Silver Collection, eventually making approximately 2,600 objects accessible to the public via the Museum’s online Collections Portal. Ginell, William S., Susan Lansing Maish, Glenn Wharton. “A Comparative Study of Silver Cleaning Abrasives.” Journal of the American Institute for Conservation, vol. 29 no.1 (1990): pp. 13-31. Selwyn, Lyndsie. “Silver- Care and Tarnish Removal.” Canadian Conservation Institute, CCI Notes 9/7 (1993): pp.1-5. Burke, Martin. “Appendix O: Curatorial Care of Metal Objects.” in National Parks Service Museum Handbook, Part I. Museum Collections, O:1-O:15. 2002. This entry was posted on December 8, 2015 by Madeleine Hazelwood in Digital Project, Furniture and Decorative Arts and tagged conservation, digitization, silverwork.